Put on by the students at Blackfeet Community College, the walk calls for mothers and daughters to join together Saturday morning and go door to door looking for clues in Ashley's whereabouts. The post Walk for Ashley appeared first on Tribal College Journal of American Indian Higher Education. The 9,000-square-foot facility will help the two-year college in its effort to start offering four-year education and nursing degrees. The post Blackfeet Community College to Construct New $7.5 million Health Education Building appeared first on Tribal College Journal of American Indian Higher Education. Inside a study room at Navajo Technical University here, a class of seven employees from the Navajo Nation Judicial Branch are taking steps to enhance the Navajo language in tribal courts. The post Program Enhances Navajo Language in Tribal Courts appeared first on Tribal College Journal of American Indian Higher Education. The Salish Kootenai College will host the Native American Classic Dec. 7-9 at Joe McDonald Health and Fitness Center at SKC. The post SKC to Host B-Ball Tourney appeared first on Tribal College Journal of American Indian Higher Education. Two new buildings at Sisseton Wahpeton College house native archives and Dakota language classes. The post New Space Stores Native Archives appeared first on Tribal College Journal of American Indian Higher Education. “We all have different ceremonies and practices, but as a people we are united,” Summer Powell, a Haskell sophomore and Navajo tribe member, said of distinctions between America’s indigenous communities. The post Haskell Students Share Native American Culture with Southwest Students in Schoolwide Program appeared first on Tribal College Journal of American Indian Higher Education. Because there are so few TCUs, presidents of these institutions must work collaboratively and meet regularly to understand and stay involved with the changing dynamics of the education system for Native American students. The post Tribal College Presidents Share a Common Bond appeared first on Tribal College Journal of American Indian Higher Education. 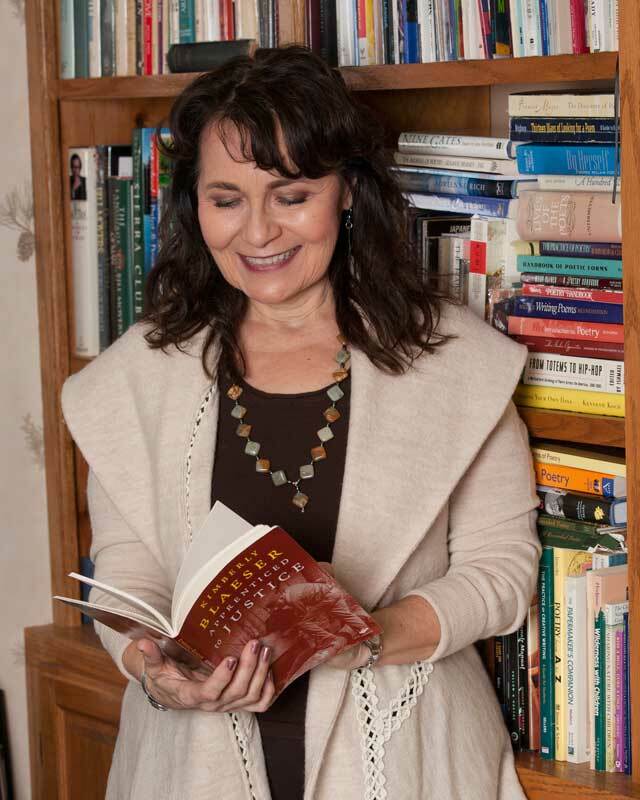 Author, scholar, and poet Dr. Kimberly Blaeser (Minnesota Chippewa) will serve as guest editor for the 2018 edition of TCJ Student. The post Kimberly Blaeser Named as Guest Editor of TCJ Student appeared first on Tribal College Journal of American Indian Higher Education. Representatives from Navajo Technical University and Salish Kootenai College in Montana will be presenting educational opportunities for Native American youth. The post Kids Learning about STEM Careers at Desert Research Institute Youth Day appeared first on Tribal College Journal of American Indian Higher Education. A Cheyenne Odyssey is the first game to present the Northern Cheyenne perspective on real events our people experienced,” said Dr. Richard Littlebear. The post Great Care Went into Design of ‘Flight to Freedom’ appeared first on Tribal College Journal of American Indian Higher Education. Perez admits there will be pressure and expectations for his 2017-2018 Lady Bisons to repeat last season’s accomplishments of capturing the AIHEC National Title. The post SKC Lady Bison Ready to Defend AIHEC National Title appeared first on Tribal College Journal of American Indian Higher Education. Fond du Lac Tribal and Community College was honored with a Bronze Medallion Award for excellence in public relations, marketing and communication in the 2017 National Council for Marketing and Public Relations District 5 Medallion Awards competition. MANCOS, Colo.—This November, Tribal College Journal is seeking American Indian veterans and active duty service members who would like to continue their ties with their culture and with education by receiving a subscription. The post <em>Tribal College Journal</em> Honors Native Veterans appeared first on Tribal College Journal of American Indian Higher Education. The U.S. Census Bureau’s goal for the 2020 census is to count everyone once, only once, and in the right place. The 2020 census Local Update of Census Addresses operation (LUCA) is the only opportunity for tribal governments to review and comment on the address list. The post Census Bureau Seeks Help from Tribal Communities appeared first on Tribal College Journal of American Indian Higher Education. Located in Lawrence, Kansas, Haskell Indian Nations University began as the U.S. Training and Industrial School, a boarding school for Native students. Its curriculum focused on industrial education with the goal of building a skilled workforce that would help transform tribal communities. The post Sacrifice and Honor: A Virtual Tour of Haskell’s Long History of Honoring Veterans appeared first on Tribal College Journal of American Indian Higher Education. In a world filled with soundbites and clickbait headlines, we are missing stories about what’s really important. We get distracted by social media battles and Hollywood shenanigans and we lose sight of what’s really happening. The post Diverse Media Voices Needed Now More Than Ever appeared first on Tribal College Journal of American Indian Higher Education. The post Reservation Politics: Historical Trauma, Economic Development, and Intratribal Conflict appeared first on Tribal College Journal of American Indian Higher Education. The post The Thunder before the Storm: The Autobiography of Clyde Bellecourt appeared first on Tribal College Journal of American Indian Higher Education. The beach at Normandy had become crowded with the dead. Lifeless bodies strewn across the sand and others, animated by the surf, washing back and forth with the tide. The post Serving Those Who Served appeared first on Tribal College Journal of American Indian Higher Education. In the planning process for the new Red Lake Nation College campus, meetings were held to gain input and support from the community. The post Red Lake Nation College Dedicates Memorial to Veterans appeared first on Tribal College Journal of American Indian Higher Education.